Big data, predictive analytics, lead scoring. All of these terms can essentially mean the same thing: they help sales and marketing teams improve sales conversions. Lead scoring isn’t a new concept, but when combined with marketing efforts, lead scoring can take on a whole new meaning. 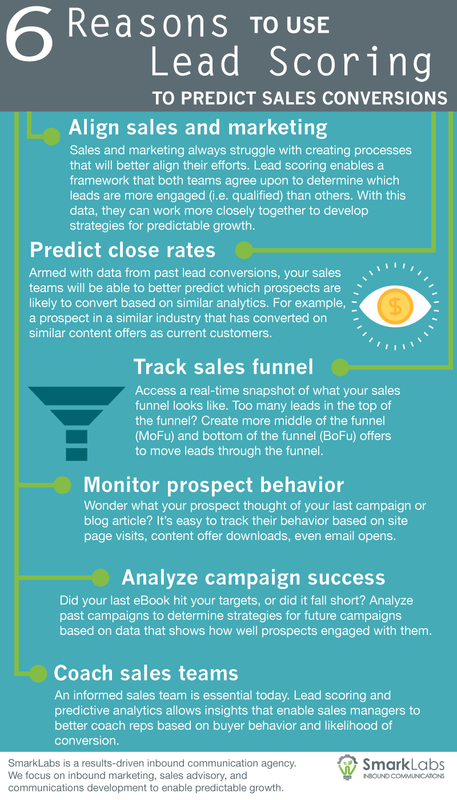 This infographic attempts to illustrate the benefits that lead scoring and its’ data can have for companies looking to grow.